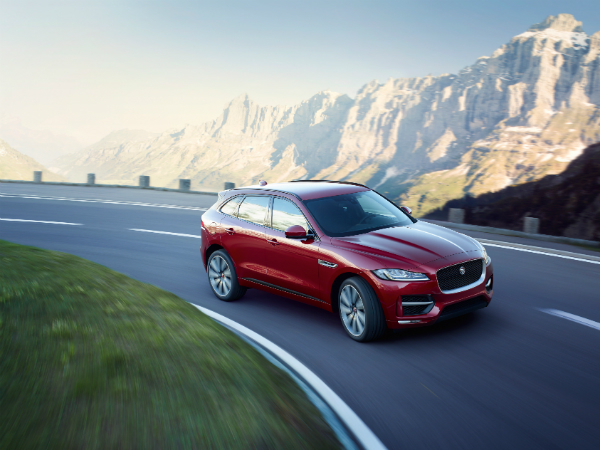 Jaguar Land Rover India has announced the start of local manufacturing of Jaguar’s first performance SUV, the F-PACE. The Jaguar F-PACE, available in the Prestige derivative and powered by a 2.0 l 4-cylinder, 132 kW Turbocharged Ingenium Diesel engine, the locally manufactured 2018 Model Year F-PACE is priced at ₹ 60.02 Lakh (ex-showroom price in India). The Jaguar F-PACE is a performance SUV that has the DNA of a sports car. Its powerful and agile look makes it very distinctive and gives it a head-turning road presence. It also comes with a range of exciting features including Adaptive LED Headlights, Activity Key, Wi-Fi Hotspot & Pro Services and 25.91 cm (10.2) Touch Screen. With premium features such as Rear Recline Seats, Four-Zone Climate Control, 380 W Meridian™ Sound System and Configurable interior mood lighting (with 10 colours), one can enjoy the thrilling performance of the F-PACE in supreme comfort and leisure. Further details on the Jaguar F-PACE are available on the Jaguar India website www.jaguar.in.